The shower serves so many purposes. It's a place to think (meditation center), sing (sound stage) and luxuriate (pampering paradise). 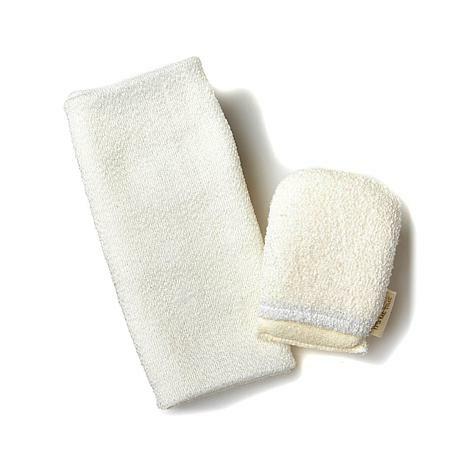 This facial scrubber and wash cloth make the perfect shower companions. 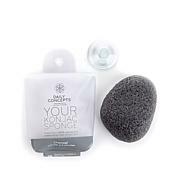 The dual-textured facial scrubber provides gentle exfoliation, while the stretch wash cloth helps you access hard-to-reach areas, from your back to your feet. So take a cue from your wash cloth and stretch your body to reach all those neglected parts. Did we mention the shower can also serve as a yoga studio? The product is awesome and love love the back scrubber my back is very dry and not now better then a brush . I will buy this product again. Thank you. I wasn't sure about these but, once I tried then, I liked them. The facial scrubber works well no matter which cleanser I use. The fact that it has an exfoliating side means I can use a milder cleanser and still get a clean face. The wash cloth S T R E T C H E S beautifully and is very flexible. 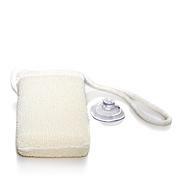 I have neck and back problems and have found that back brushes and some back strap scrubbers don't flex enough to get between the shoulder blades without my having to stretch and strain . Not so with this wash cloth. Although it exfoliates, it is still flexible enough to fold into that area with no effort at all. I have used this product a couple of times. So far so good! It's nice to use on ur feet. It makes them feel so smooth! The facial cloth makes ur face feel smooth too! This is a product that will pleasantly surprise you. The texture is like a loofah, it feels amazing on your skin. The stretchy material allows you to get all over coverage. The facial scrubber is just enough to really exfoliate without tearing the sensitive skin on your face.